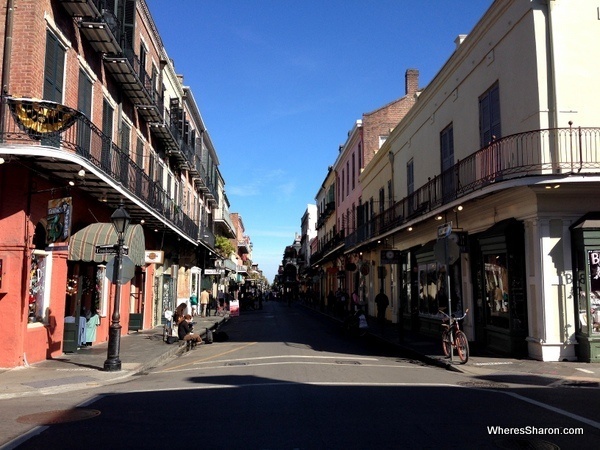 New Orleans – Wow! 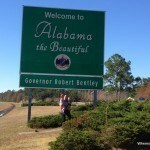 We had rushed our Road Trip USA Deep South Tour to make it to this city and we were not sorry. It was worth every minute. Let us help you make the most of your time here too! We loved this city. The French Quarter is amazing, but there are also many other areas to visit and fall in love with. It is a great place to see the many different influences that have made up what is now the USA thanks to the different colonial powers that have had a presence here. I often think that the USA is similar to Australia and is a new country in a similar way, but this really isn’t true. Nowhere has this been more obvious to me than in New Orleans. The French, Spanish and African American influences are particularly evident here. Unfortunately, we only had a few days in this great place. 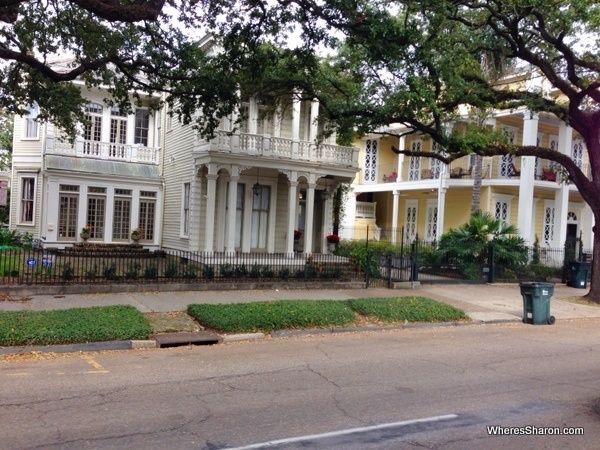 Here are some things to do in New Orleans in a few days as well as all the practical information about our stay here, our accommodation, our thoughts and experiences. This really is a picturesque amazing place to visit. I found it hard to believe I was still in the USA! The quarter covers a bigger area than I expected and is full of narrow streets lined with gorgeous old buildings. I took so many photos, but it is not possible to capture how pretty and amazing this area is. What you see in the above picture is basically a version of what the streets in the whole quarter look like. It also has a fabulous vibe. There are many buskers which really added to the ambiance. There was also a wide range of people selling things in Jackson Square, in the centre of the French Quarter, that I have not seen elsewhere. For example, you could walk up to a guy with an old fashioned typewriter who will write you a poem on any topic you want on the spot. There are bigger attractions in this area, such as Jackson Square and museums, but the best part was really walking around soaking it all in. 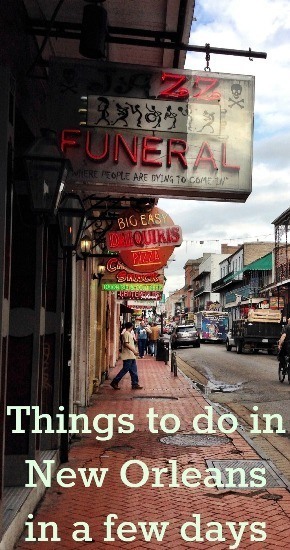 Give yourself at least a day to wonder round the French Quarter visiting things of interest. It also borders the Mississippi River so you can check out this landmark as well. This is my new favourite part of the USA. It is completely my type of place, and we would love to come spend a much longer length of time staying here in future. We also checked out the Louisiana State Museum at Presbytere. This is in a grand old building right on Jackson Square. The ground floor is devoted to Hurricane Katrina, the before, during and after. It was quite moving reading about this where it all happened. It brings back so many questions as to why things weren’t handled better, the tragedy of it all and what is being done now to ensure a better response to future disasters. 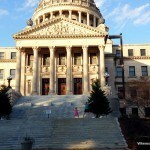 There are several other buildings which make up the Louisiana State Museum. I would have also visited these if I could have got away with it with kids. They handled this one ok, as it wasn’t too big and the exhibits were slightly interesting to them thanks to lots of screens, costumes and a brightly coloured float. We only paid for the museum which was $6 per adult, kids free. This area is the oldest African American neighbourhood in New Orleans and is next to the French Quarter. We primarily visited here to go to the Backstreet Cultural Museum. This museum details the African American customs of the city and showcases Mardi Gras Indian suits. J was very interested in this, and since it isn’t open on Sundays and Mondays (the other days we had in New Orleans), we went here first. Unfortunately, they had shut early so we missed out. I recommend a call before coming here! It wasn’t all for nothing though as there are other things to do in the Treme. It is a pleasant place to walk around as well. 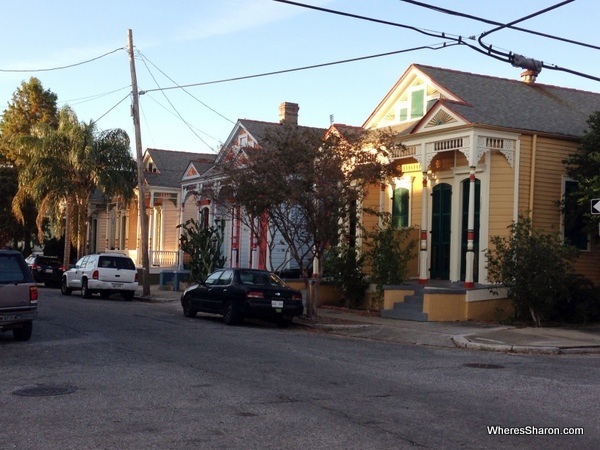 It is not nearly as beautiful or developed as the French Quarter but it does have charm, albeit with a little bit of edge as well. 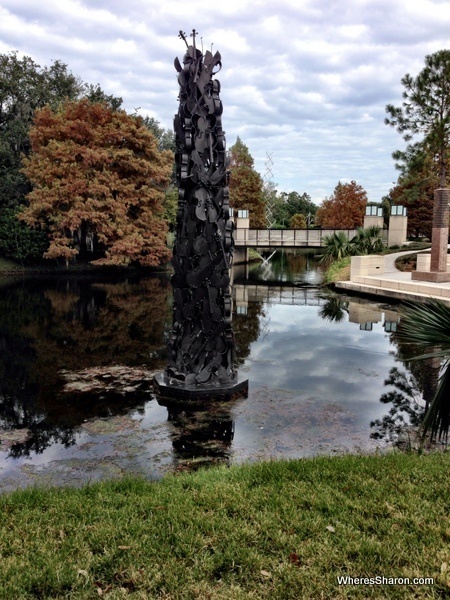 It is also home to the big and beautiful Louis Armstrong Park which also encompasses Congo Square. Congo Square is an area which was once the only place slaves were allowed to play music. This was usually not allowed in other societies with slaveholders. Apparently this practice helped to preserve the musical heritage of these African Americans which laid the base for what was to become jazz in the future. The park has quite a few statues, especially in regards to Louis Armstrong. It also has a large pond with some ducks which amused the children, and some rolling hills which S enjoyed rolly-pollying down. This park is worth a stop on your New Orleans tour, if only to relax for a bit after exploring the French Quarter. 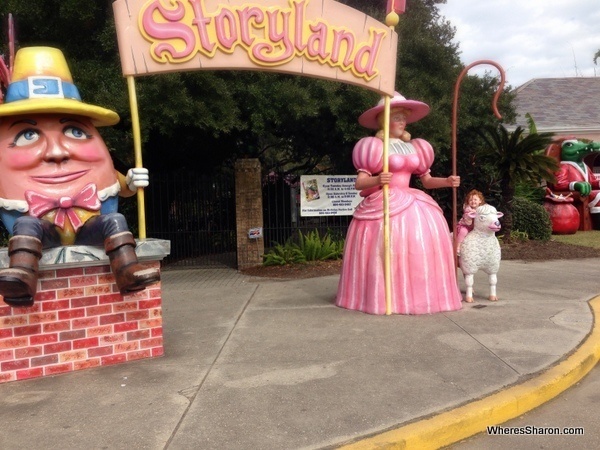 This great children’s museum was probably S’s favourite thing to do in New Orleans. 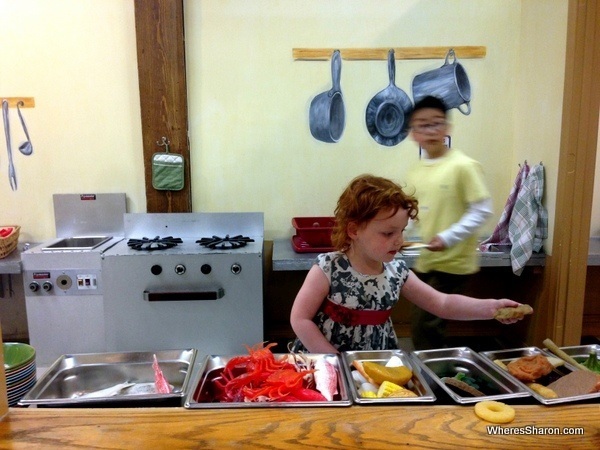 It is full of great kid attractions and S especially loved playing in the child size house. You can read more about it in Louisiana Children’s Museum and jazz at Preservation Hall. One of the biggest city parks in the US, I expected this park to be spectacular. Spectacular it wasn’t – it was really just a park area with some buildings and attractions thrown in. There were a few roads and big car parks in here, so I guess that made it lose the park vibe for me. 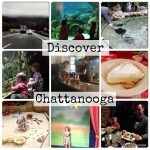 It is still definitely worth a visit if you are travelling with kids though. ALERT: Click here to download a complete checklist of 30 things to do in New Orleans with kids . The kids enjoyed the trolley ride here, and the big playground. J and I enjoyed the sculpture park. We would have tried storybook land attraction, but it doesn’t open until 11am and we were at the park early. It took a fair bit of walking to get around the park. We should have taken the stroller. This is called the American District in our guidebook, the Garden District elsewhere. We went here after reading that you can catch a street car past lots of grand old mansions so that’s what we did! It took awhile for the street car to get to the good bit so we started to think the guidebook lied, but we were soon seeing lots of glorious old Southern homes, so it was worth the effort. 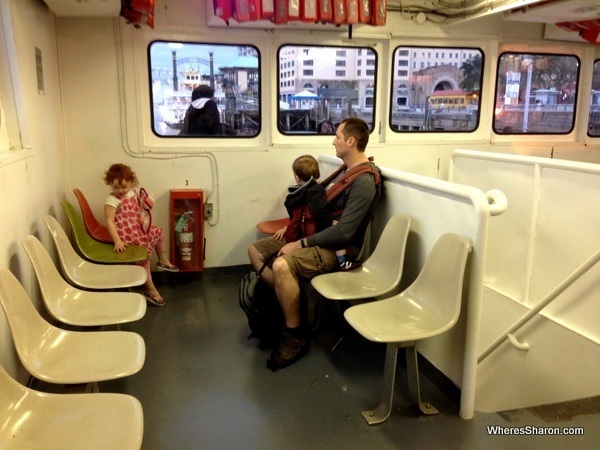 This free passenger ferry takes you across the Mississippi to the suburb of Algiers. We enjoyed doing this back and forth to see more of the Mississippi and to get great views of New Orleans. The kids love being on boats so it was a win-win! J went to a jazz performance at Preservation Hall for his birthday. He loved it! More information in Louisiana Children’s Museum and jazz at Preservation Hall. We stayed in two different hotels in New Orleans. This is because we arrived on a Saturday and the accommodation was crazy pricey in the French Quarter on Saturdays. We spent our first night staying off the I-10 in the Baymont Inn and Suites about a 15 minute drive from the French Quarter. 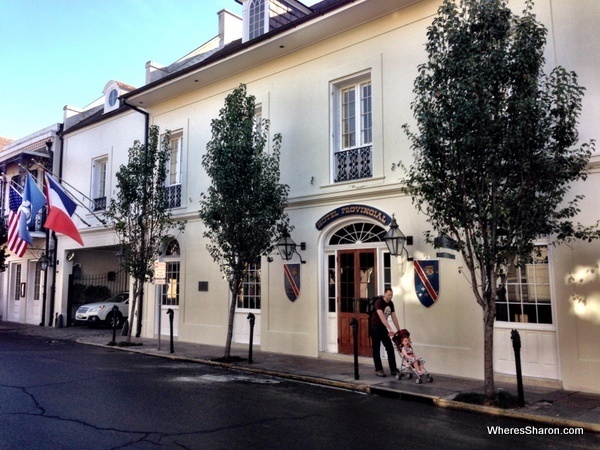 We spent the next two nights at the Hotel Provincial in the French Quarter which was just amazing. Baymont Inn and Suites – fine budget choice. We had a decent size room and even had extras like toiletries and a hot breakfast. My only complaint was that the hallway stunk of cigarettes and the door to the room didn’t shut properly. See the latest prices here. 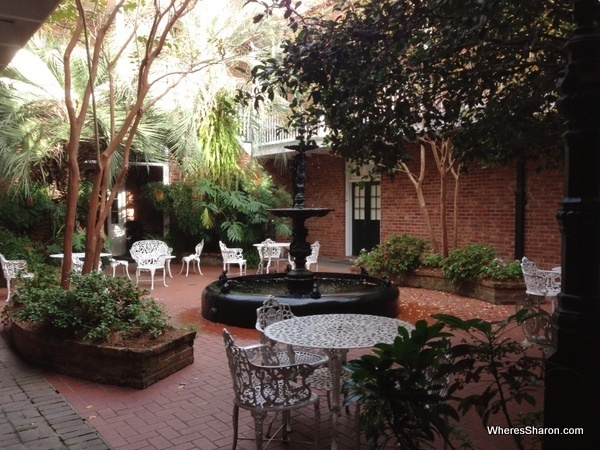 Hotel Provincial – This is an excellent value option in the French Quarter. We had a lovely charming room fronting onto a lovely pool. 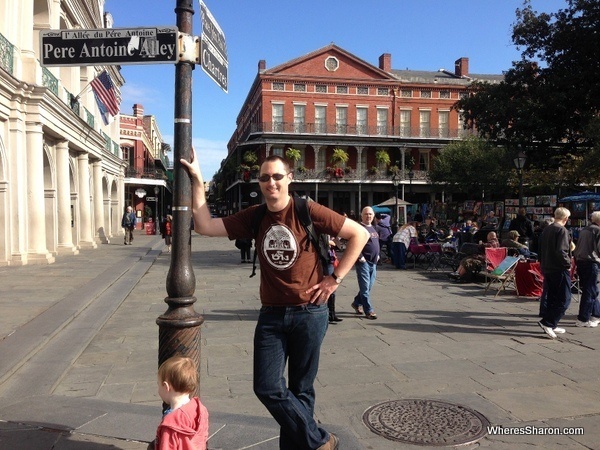 It was just fabulous staying in the French Quarter and the price was very good. See the latest prices here. We recommend using HotelsCombined to find accommodation. It is our favorite site for quickly comparing the prices of multiple hotel booking sites at once. There is some great food to eat in this part of the world. It is not hard to find something to eat in New Orleans, but finding something on a budget in the French Quarter was close to mission impossible. Two of our favourite food items here were po-boys and beignets. A beignet is basically deep fried pastry covered in a ton of icing sugar and we had these in place of cake for J’s birthday at Cafe du Monde which is reputed to be the best place to eat them. Po-boys are big baguette like rolls full of meat, salads and sauces. They are very filling and delicious. 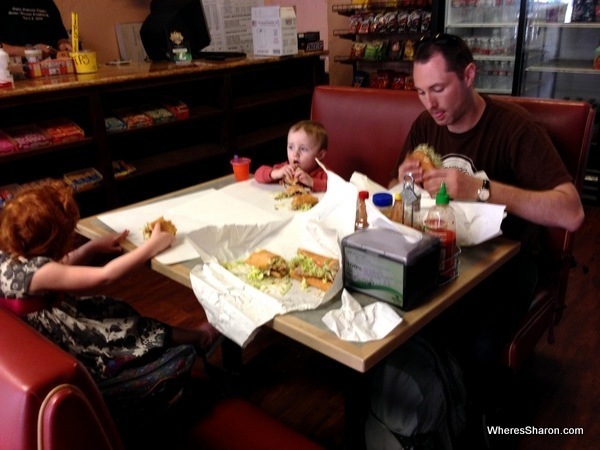 We loved ours, particularly at Johnny’s Po-Boys which is meant to have some of the best. It is easy to get around some of the main attractions in New Orleans. We did not use our car to explore this great city which was a nice change. We used the street cars. They only have a few routes, but they will get you everywhere in our list above. They have the extra benefit of being fun and the kids loved them. They cost $1.25 for a single journey or $3 for an all day pass. Z was free, but kids 3 and over pay full price. There is more information on the NORTA website. Our budget did not fare well in New Orleans. We gave ourselves extra money for J’s birthday so some of the accommodation costs for the French Quarter and eating out costs on his birthday were covered by this. If we had continued to stay in the motel outside of the quarter and not eaten out three times on J’s birthday, we could have kept to our budget of $136 a day easily. 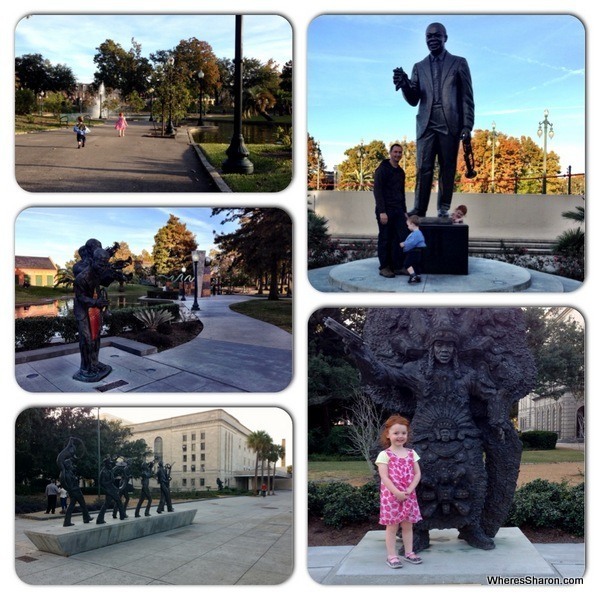 The kids seemed to have a great time here especially at Louisiana Children’s Museum and the Louis Armstrong Park. I think they preferred this park to the City Park thanks to the rolling hills and not having to walk such long distances to get to things. Bigger is not always better! We loved New Orleans! We had high expectations and they were met and exceeded. The French Quarter is just gorgeous. It can feel quite touristy in parts, but not in a particularly bad way – nowhere was that crowded, and it was easy to get away from those parts and feel like you had the quarter to yourself. This area was bigger and more beautiful than I expected. We enjoyed everywhere else we went in New Orleans as well, but they were very much over shadowed by the French Quarter, although the Louis Armstrong Park rates highly with us too. There is just something about New Orleans that sets it apart from other cities. I don’t know what it is exactly, but it is just different and has a great atmosphere. I think it is now my favourite US city, and I am sure we will be back one day. You can also visit Baton Rouge and a drive thru daiquiri bar during your time in New Orleans. 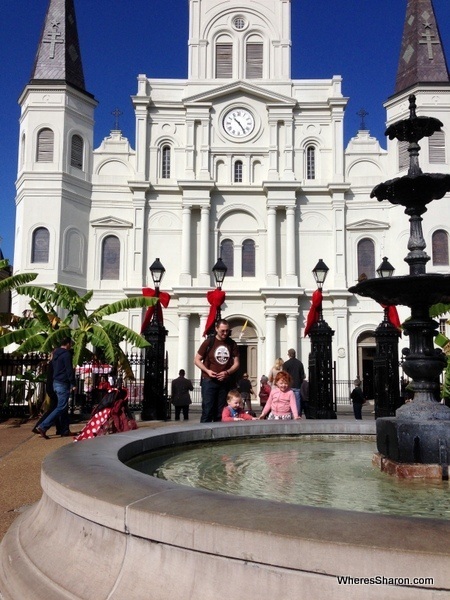 Click here to download a complete checklist of THIRTY things to do in New Orleans with kids. 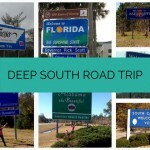 Our stay in New Orleans was part of our Road Trip USA Deep South Tour – read our overall highlights, planning tips and our one big disappointment. You can read more about this section of our road trip in driving Miami to New Orleans. Have you been to New Orleans? What would you add to this list? Disclaimer: This article contains affiliate links. This means that if you click on these links and make a booking that we receive a small commission at no extra cost to you. It can be very easy to overlook places in our own backyards, but you really should get there soon!! Such a fabulous place. I have fond memories of New Orleans, even though we were there while Hurricane Charley was destroying our house in Florida. That’s how enjoyable it is. Foodies that we are, we always recommend a New Orleans tradition there: coffee with chicory and beignets (a type of donut) at Café du Monde. Perfect for breakfast or snack. Then a muffaletta sandwich for lunch. And splurge on a dinner at Brennan’s and have Bananas Foster for dessert, prepared tableside (they invented it). You are making me hungry too!! I need to go back and eat those things. We actually had some beignets for morning tea for my husband’s birthday! good stuff! Wow it would be amazing to be there during Mardi Gras!! Next time! I miss New Orleans so much! I lived there for 5 years, and it’s still my favorite city in the world. Beautiful, friendly, warm, and with amazing food – what else could you want? Great Post! We are really trying to work New Orleans and the Southern US into our travels for this year. It is such a haven of culture. Thanks for all the great tips! Safe travels. You got it right, New Orleans is one of the best (if not THE best) cities in the U.S.A.! I’m glad you were able to hit all the highlights. Wow! I have never really considered New Orleans among my top destinations in the US, but this post made me feel like going there! Several people commented on our Barcelona cemetery post making reference to a beautiful cemetery in New Orleans, I don’t know if you can confirm that it is a must see. I have read some blog posts about the New Orleans cemetery and it does look great!! There was no time for us to go there unfortunately. New Orleans is awesome!! It is very much worth a visit. It is now my favourite place in the US along with New York, and I have seen a fair bit of the states now. 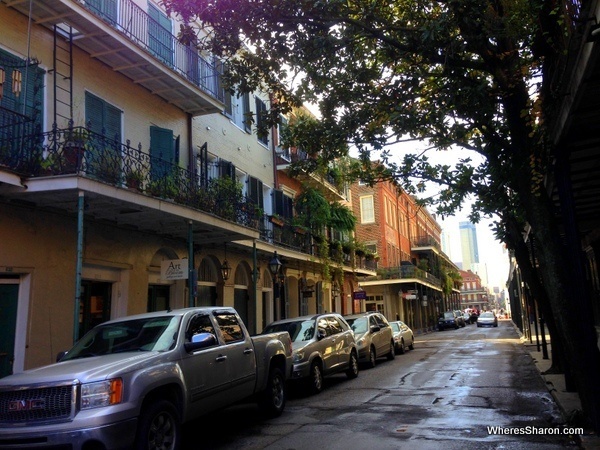 The French Quarter is just beautiful and there are so many interesting things to do. My boyfriend grew up in the French Quarter, but I’ve never been. Looking forward to going with him some day and seeing all his childhood haunts. Oh, and eating, eating everything I see. Are those lobsters I see in the children’s museum? Too awesome. The food in New Orleans is awesome. I really wish we hadn’t had a tight budget, so we could have gone crazy!! It must have been an awesome place to grow up. 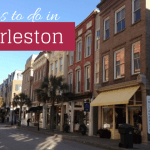 We have not been to any SE parts of the US as if yet, but several are on our Places To Go list, and New Orleans is definitely on that list as well! Your post gave me lots of ideas to look into when planning our trip. Particularly the drive-thru daiquiri bar! 😉 Thank you for the great information, Sharon. 3 month road trip sounds great! I think that depends on what you want personally. Motels were cheap and easy and I would rather that than dealing with a bulky motor home and having less choice of areas to stay. Of course you would have the benefit of not having to pack/unpack constantly which would definitely be a plus! I would add a visit (or two) to Cafe Du Monde in Jackson Square. Enjoying their cafe’ au lait and beignets is a total MUST for any visitor. Also, you didn’t mention eating gumbo, red beans and rice, or shrimp and grits in the Quarter. New Orleans food is an attraction in and of itself. 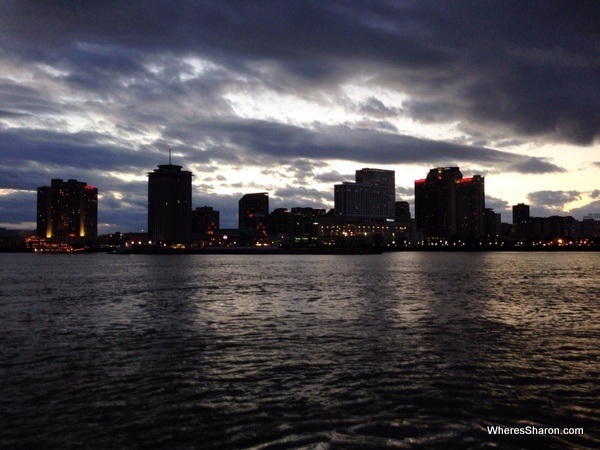 Thank you so much for sharing your New Orleans journey. I can’t wait to explore the city next week! My hubby and I will be visiting New Orleans on the March 27th until 31st. Your blog is very helpful will definitely visit the places you’ve been to. Thanks Miss Javier! That is very exciting. We just love New Orleans. I would definitely suggest people try out the Ghost Tour! I went back in 2011 and it was absolutely fascinating! Even if you don’t believe in that kind of stuff, you still learn so much interesting history on the tour. I’m finally going back to New Orleans in the spring, and I’m going to check out the vampire tour. Thanks for your suggestion Nikki! That sounds very interesting and like lots of fun. If you ever come back, you might also enjoy Audubon Park and Audubon Zoo. City Park is bigger but based on your feedback about your experience there, Audubon Park may be more up your alley. You can access the front of the park from the St. Charles Streetcar. The Audubon Zoo is accessed on the other side of the park, on Magazine Street. You can also check out The Fly while you’re there, which is a park behind the Zoo that overlooks the Mississippi River. Sounds great Mallory, thanks for the tips! Thanks for the great post! We are heading to the US from Melbourne in 2weeks(!!) and New Orleans will be part of our road trip. We are travelling with 2 little boys ( one turned 5 yesterday and the other will be 20months old). We are staying in the French quarter and have planned a swamp tour for the alligators and a trip on the street cars (Thanks for the tips). Our plan is to walk and eat. I didn’t know about the ferry so we will do that now too. This was a great post Sharon. Keep travelling, keep inspiring. Wonderful post! New Orleans is one of the most unique cities in the U.S. Next time you visit, you should take some time to explore Uptown (at the end of the St. Charles Ave streetcar). There’s the Audubon Zoo, The Fly (a green space that sits right on the Mississippi River) and Plum St. Snoballs! Thanks for the suggestions, Kristen. Sounds great! I’m so glad you visited New Orleans with the kids. Some people think of it as an adult only destination, but not so! It is a very colorful and unique spot in the southern US. Early each spring there is a big Mardi Gras festival with parades and fun. What gets publicized the most is the adult part, but if you go to local websites you’ll find a list of family friendly parades that kids love. We really enjoyed the Mardi Gras world which is where they make all the floats! Everything there is larger than life! !